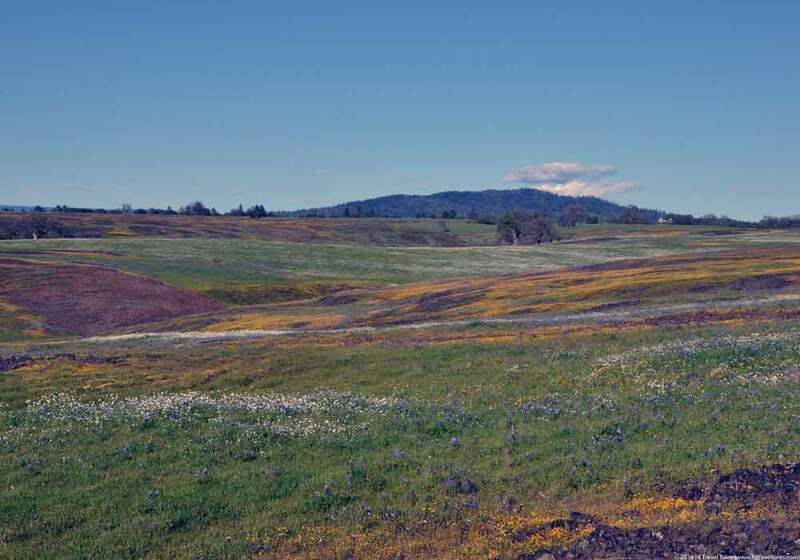 Located in the foothills of the northern Sierra Nevada, just 7 miles north of Oroville (approximately a one-hour drive north of Sacramento), the 3,315-acre Table Mountain preserve looks rather non-descript from afar. From Oroville, you can see the dark basalt (volcanic) cliffs and a hint of a flat plateau above, but little more. Color and wildflowers stretch as far as the eyes can see at Table Mountain (Photo by Therese Iknoian). But just you wait til spring and the explosion of wildflowers: From late February through late April (peaking in March and early April, depending on weather) more than 100 varieties of wildflowers explode into bloom, and a colorful carpet spreads as far as the eye can see – a real contrast to the backdrop of black basalt rock and green grasses. You step onto the Table Mountain plateau and your jaw drops. Every which way you look it seems more beautiful. And the colors are so varied they look good enough to eat. 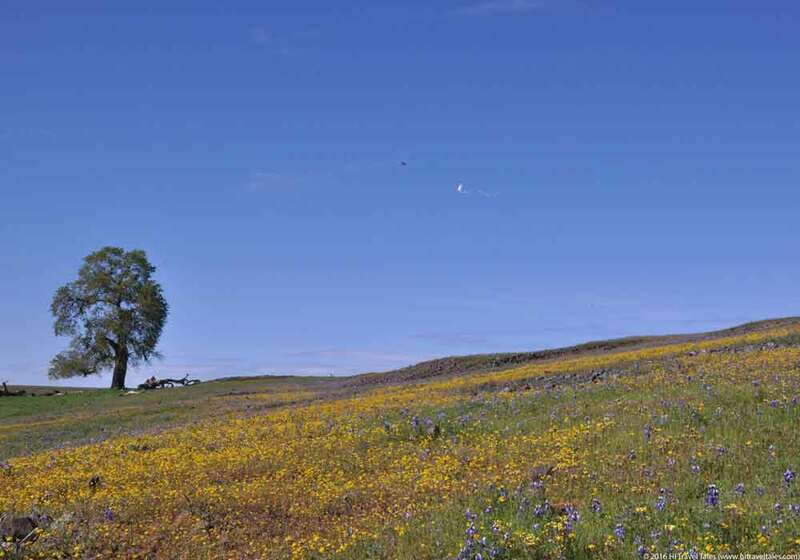 HITT Tip: During wildflower season, Table Mountain Preserve is a photographer’s dream destination. The preserve is officially open from dawn til dusk so for the best light plan your visit to be there either at dawn or, preferably, quite late in the afternoon. We found evening light made the flowers glow starting about 2.5-3 hours prior to sunset, but be aware that the poppies will start closing by about an hour before sunset. 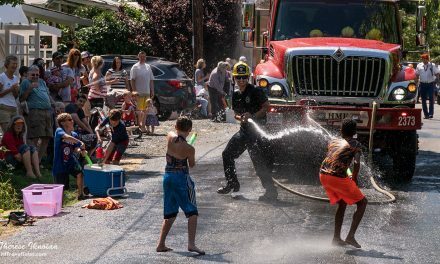 Warning: Photographers need to have patient – or very independent – companions! The casual nature of the Table Mountain preserve is another treat. Although there are a few common-use trails that wind through the ravines and across the flat open expanses, there are no signed trails, no “stay on the trail” signs nor, in fact, any signs at all. 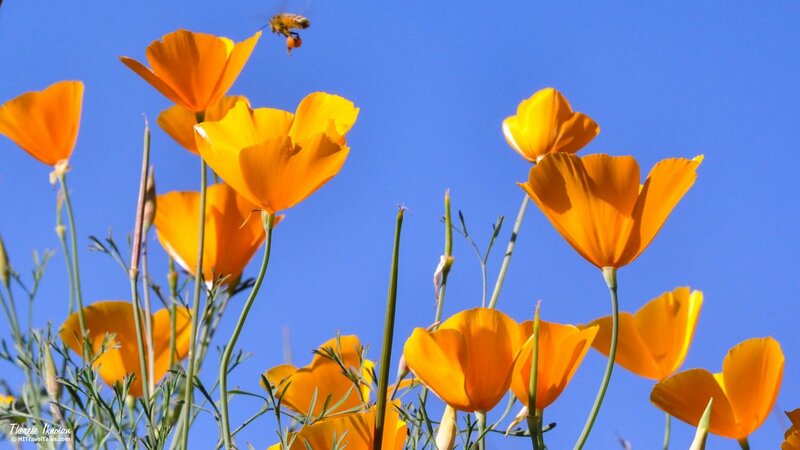 For the most part, you just wander freely among poppies, goldfields, lupine, clover and more, going in whatever direction your fancy takes you. There are surprises at every turn. Dramatic ravines cut into the basalt table seem to magically and somewhat abruptly appear before you. Looking beyond the plateau, the shimmer of the city below appears to be the sea viewed from ocean bluffs. Numerous vernal pools will delight, as will the six waterfalls splashing into the ravines below. Dramatic ravines cut into the basalt table seem to magically and somewhat abruptly appear before you. People wander among the wildflowers and beside flowing water with no defined trail required. (Photo by Therese Iknoian). HITT Tip: Be sure to wear sturdy shoes. Without groomed trails, footing can be rough and underfoot rocky at Table Mountain. Or even very wet. There is a renowned deep bog (among those like ourselves who have wandered into it!) near the main Cherokee Road parking area. So stay low or stay high across the meadow. Or expect mud- and slime-filled shoes! Table Mountain Preserve has waterfalls! 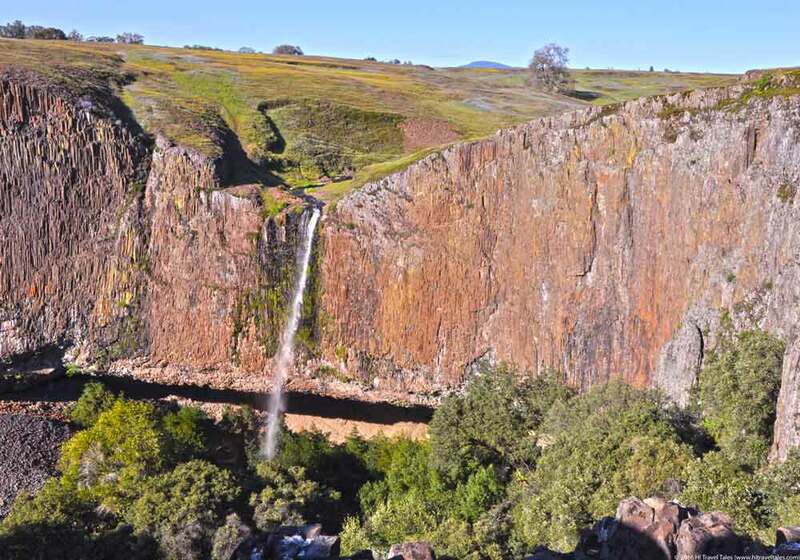 Certainly one of the most awe-inspiring waterfalls in California is Table Mountain’s Phantom Falls, tumbling 164 feet as measured recently by the Chico Hiking Association. Also known as Coal Canyon Falls, it is about two miles from the main parking area if you go directly cross-country, and it is indeed impressive with its delicate spray of water rushing over the cliff’s edge. Don’t miss it. 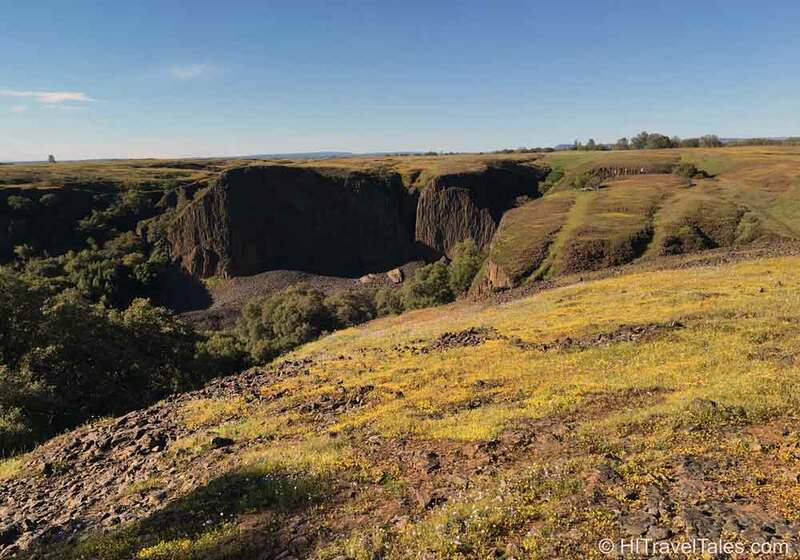 A super area trail resource is the Chico Hiking Association’s excellent map of the cross-country Phantom Falls loop (about 6-7 miles). Download the Table Mountain Map here. 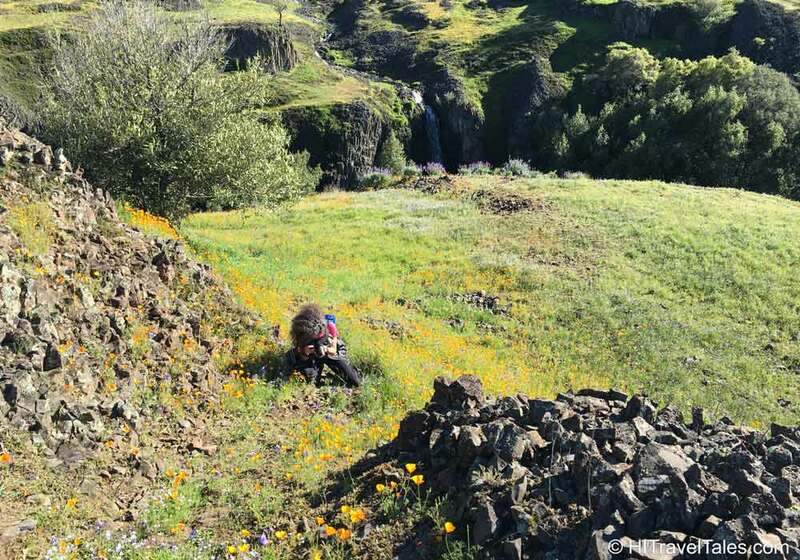 In addition, be sure to download its wildflower guide, also by the Chico Hiking Association – it is best viewed on a smartphone. 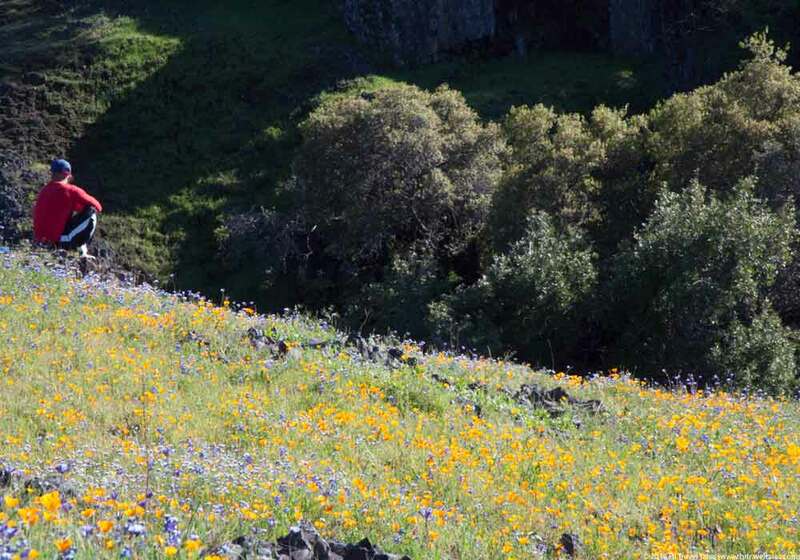 HITT Tip: Guided wildflower tours are also offered at Table Mountain from March through April. There are two walks per day, lasting approximately two hours and covering a distance of approximately 2.5 miles. Tour sizes are limited and reservations are required. 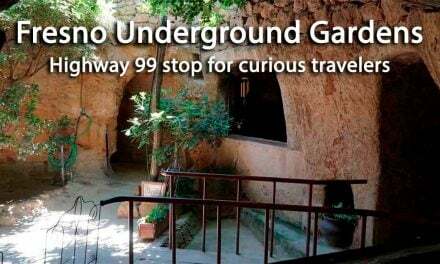 There are also independent hiking and photography groups that organize their own outings to the area so do your own Internet searches to see if another group serves your needs or schedule. A man sits and enjoys the gentle breeze, plus sounds from the stream below and the wildflowers around him. (Photo by Therese Iknoian). 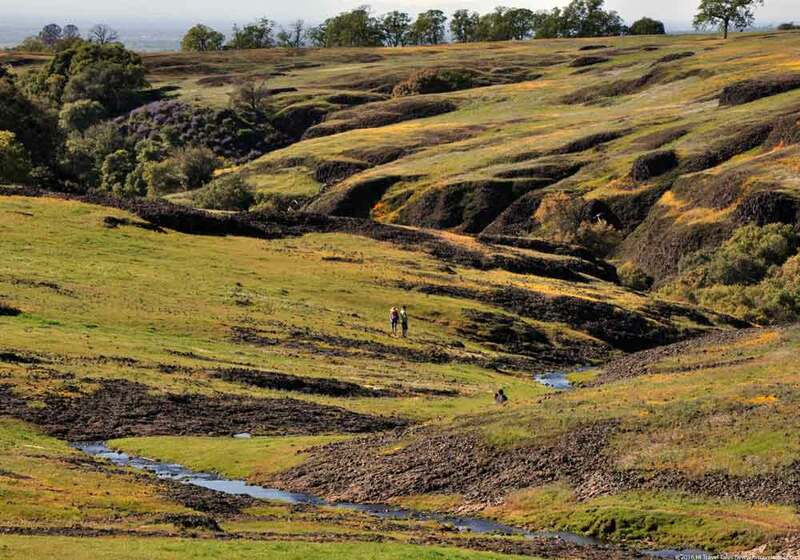 For more information about the North Table Mountain Ecological Reserve, call the California Department of Fish and Wildlife, North Central Region, Rancho Cordova office at (916) 358-2900, the reserve at (916) 358-2869, or go to the official website, where directions and an overview map of the area are available. 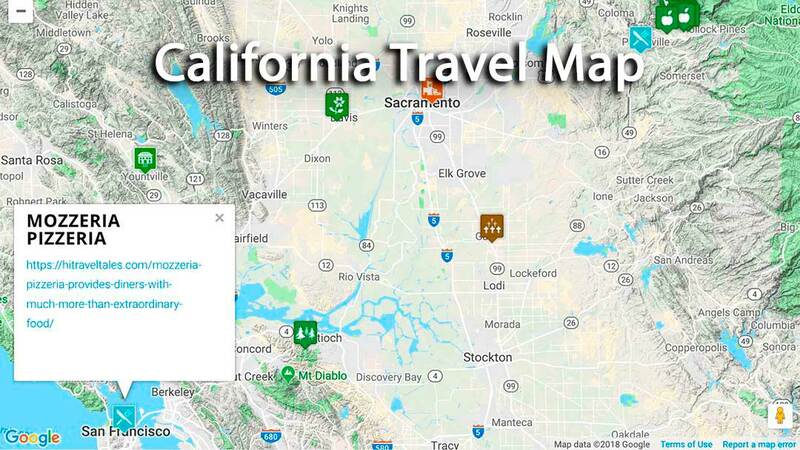 In general, once in Oroville, from Highway 70, exit at Grand Ave (exit 48). Go east (right) on Grand Avenue for 1 mile. Turn left on Table Mountain Blvd. and then drive for a tenth of a mile. Turn right on Cherokee Road and drive 6.3 miles north to the reserve. There is a small parking lot on the west (left) side of Cherokee Road that serves as the official access point to Table Mountain (porta-potties available but no water). If the lot is full, park alongside the road. PLEASE respect private property and do not cross fences or ignore no-trespassing signs. 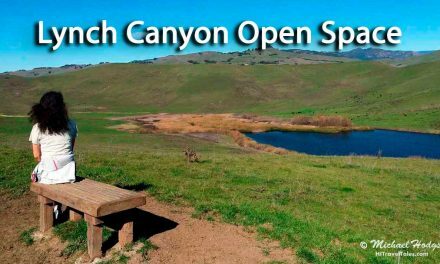 It can get windy at Table Mountain preserve, which is ideal for flying kites. (Photo by Therese Iknoian). HITT Tip: Dogs are allowed and you will see lots of them. But on a 6-foot-maximum leash. Windy day? Take your kite! Kite flying allowed too! There are so many places to enjoy wildflower walks in and around the area. 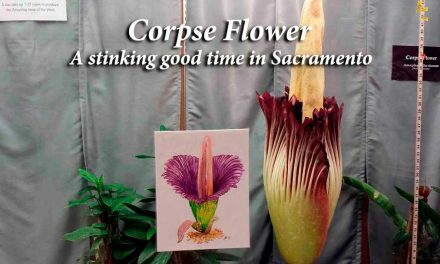 Check out our Sierra foothills wildflower hike article and our Best hike in Carmel article to learn more. Heads up! This information on Table Mountain Preserve was accurate when we published it on HI Travel Tales, but, as we know, traveling is all about changes (and inflation, sadly). It is your sole responsibility to confirm prices, transportation schedules, hours of operation, safety and health considerations, and any other important details before your adventure.